Pay What You Want on this title. 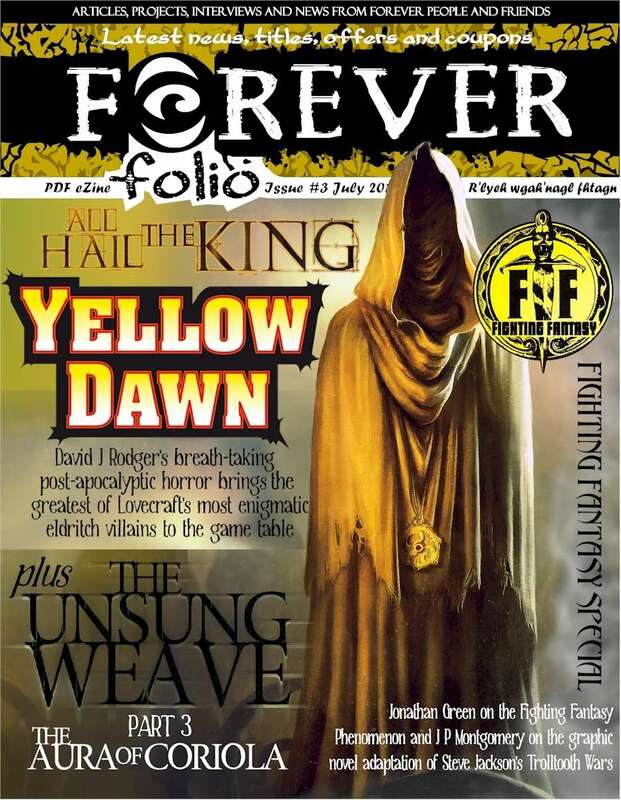 Yellow Dawn - Modiphius prepare to bring David J Rodger's awesome mythos-inspired post-apocalypse nightmare for CoC7e into the light of day. Fighting Fantasy Special! - celebrating the master brand of FRP gamebooks, with a look at Jonathan Green's book You Are the Hero and J P Montgomery's graphic novel adaptation of Steve Jackson's The Trolltooth Wars. EVPreview - a teaser for this month's free EVP adventure - Smoke & Mirra's Magic World. For some reason, likely accident, you have this product listed under the "Publisher Resources" Product Type, which is meant for Stock Art and other publisher aides. You ought to re-list it, make it easier to find for those customers looking for it, and so that it won't come up where it doesn't belong and cause confusion. Still, I was happy for the reminder of this product (and the other newsletters) browsing through my library. Thanks for providing great gaming content! This title was added to our catalog on July 04, 2015.